Hello. Consider this my first post here (because I'm new). I know how geography debates about Hyrule go, but I think this is somewhat of a solution to these kinds of debates; if the reader chooses to believe it. So, I've put all the Hyrules together as following a sort of continent theme. I found a couple of fan maps in the past that's helped me as guidelines of sorts, while also using in-game maps. Now, I must say that since I based the map on the SS / OoT / TP layout that the ALttP landmarks are not physically shown. But I think that after centuries of war and such, the land marks of ALttP will become a reality once we reach the ALttP era. Although, landmarks that would have been there all along would be Zora's Lake and Death Mountain. I'm thinking that, in the war-torn country, Hyrule castle town and its castle is destroyed and a forest area grows there (the same thing happened in TP), most of the forest area is torn down / burned or whatever and they build on top of that, and the part of OoT Hyrule field near the desert goes through drought and--like its neighbor--becomes a desert; and OoT Lake Hylia dries up. And then there's ALttP Lake Hylia, where--in a lush area--could become a lake over the centuries. And I know, I forgot to put the swamp and the castle from ALttP on there. Just consider the in the dark green area between Desert of Mystery and Lake Hylia (ALttP), and the castle right around where Ordon would have been on the other time line. The real problem with this, to me, is misrepresenting the scale of The Adventure of Link. To me, everything else would be tiny compared to what we see in AoL, not the other way around. That could be. Although the Zelda I Hyrule seems rather large, almost as large as the Zelda II overworld, but as it turns out its much smaller on the south end. I took that into consideration when I scaled it. Maybe it could be slightly bigger than how I made it, but all too much. Other than that, what do you think of it? Well, the thing is, the Zelda 2 overworld isn't to scale. It's operating on an RPG landmark-type map. That's why on the overworld, a village is only one sprite wide, but once you ENTER that village, it's actually a huge three screen village that you'll get sick of walking through. There's an implication that the area south of Death Mountain where you get the hammer is supposed to be where the first Zelda takes place, which in scale is smaller than Maze Island. Otherwise, I think it's a neat way to make things feel more cohesive. It does seem to suggest that the Hylians just like to name things in certain ways and damn if they don't make sense. This is New New New New Lake Hylia! the Zelda 2 overworld isn't to scale. It's operating on an RPG landmark-type map. That's why on the overworld, a village is only one sprite wide, but once you ENTER that village, it's actually a huge three screen village that you'll get sick of walking through. Well, its size compared to Zelda I is why I scaled the land the way I did. The mainland seems to be vast, and the developers tried to present it in that way; whereas Zelda I and II don't seem as vast and are a sort of northern area in the continent. It does seem to suggest that the Hylians just like to name things in certain ways and damn if they don't make sense. Well, I thought that with all the centuries between stories and all the wars in those centuries that the provinces change and they name new landmarks because of their familiarity and the legacy of the old ones they once had before they had to move. Edited by Gannon_Band, 17 March 2012 - 11:21 AM. How many times does that happen in the real world? We just don't do it so close to each other. Heck how many cities do we have on Earth named Memphis? Anyways, I like it though I take a much broader strokes view at geography and say none of the maps are accurate potrayals of a definite Hyrule. They're just different visions of Hyrule that particular game's story/gameplay. SS's Hyrule is interesting though in it takes elements of practically every map of Hyrule there is, including the original LoZ and divides it up into three distinctly themed regions, all arranged in a Trfiforce shape. Lanayru is a desert that once was lush hillsides bordering a sea. Some time afterwaards, it could have returned to it's lush state but the sea remained the desert we know as Desert of Mystery, Desert Collusus, Desert of Doubt and Gerudo Desert in various games. Eldin is Death Mountian and the surrounding rugged terrian. It represents the raw power of the earth. Faron much of the forests of Hyrule, at least the western and southern forests. In SS, the area includes Lake Floria which could have been renamed Lake Hylia or just another lake entirely. I believe Lake Hylia remains the same as they all look the same. Only the Lake Hylias in the FS games seem to be a oddball as they're more north than south. But otherwise they look the same as ALttP Lake Hylia so I just chalk it up to artistic license. The heart of Hyrule civilization is at the center of it all. Sometimes Lanayru incorporates the castle and it's town but it remains at the center. I'm still debating if there's ever any movement of Hylian civilization other the move to New Hyrule in TWW-ST since it's founding after SS. I like the arguement that the ruins of OoT castle town are in TP Faron Woods but I'm not sure yet. I like the arguement that the ruins of OoT castle town are in TP Faron Woods but I'm not sure yet. I do too and it sort of makes sense. I mean, Ganondorf kind of left a giant crater where the castle was. There really wasn't a point in rebuilding there. i always liked to imagine that the castle in wind waker was built around the temple of time. which is kind of silly, but eh. Not sure yet about Hyrule castle town being on the same spot of the sacred grove / Faron Woods? The Goron Tribe and the Zora Tribe are in good health in this era. We don't see the figure of the Kokiri Tribe, only the mark of the Kokiri is left in the Forest Temple. The pedestal of the Master Sword is in the decayed Temple of Time, which has become the ruins in the middle of the forest. I can't take credit for this, though. I found it on Zelda Universe. Edited by Gannon_Band, 18 March 2012 - 02:15 PM. I just took that as the Temple of Time being retconned to always been in the forest, which I can live with since it doesn't change anything plotwise. What I'm not sure of is whether OoT's Hyrule Castle town was originally in Faron Province along with it, and then everyone moved north to Lanayru, leaving old Castle Town to become overrun with forest. I can see a whole town being swallowed by a forest but there should at least be ruins of old Hyrule Castle. I much rather not think too hard about it and just say SS retcons the Temple of Time's location to a place that's more consistent with TP rather than OoT. Edited by SOAP, 18 March 2012 - 03:38 PM. Anyways things like Master Sword = one spot, desert = same, Lake Floria = Zora's Domain, Eldin Volcano =/= Death Mountain, Old Kakariko =/= OoT Kakariko Village, etc. are intentional in my mind. I'm not sure about Eldin Volcano=/=Death Mountain. A volcano bordering the north/northeast is the most consistent landmark we have. Even though everything else shifts around, especially Lake Hylia, I attribute those things more to artistic license and the "storyteller" envisioning Hyrule that way to suit the story. Certainly is an interesting fan map, haven't seen one like it before. Though, I have to agree with Masa, I had always assumed that the world of AoL was much larger than the other games and that many games of the series, such as LoZ, ALttP, OoT, etc. all took place in roughly the same area. It also wouldn't make sense to name nearly all of the landmarks, such as mountains and lakes, all the same name. Well, my reasoning for Eldin Volcano =/= Death Mountain is simply their positions in each map. I actually got the idea on Zelda Universe, first, when I was reading up on geography threads at Zelda websites. From the Master Sword, Death Mountain is shown north-east from that location. In both OoT and TP. Eldin Volcano is shown just about due north, and at a greater distance away, even a little NNW. There is possibly over 1000 (or more) years between SS and OoT / TP so the provinces would have changed quite a bit. In TP, Eldin Province receded East, as did Lanayru; which caused Faron to shrink. Edited by Gannon_Band, 19 March 2012 - 01:35 PM. The provinces themselves shifting boundaries I can see. Provinces are usually just political lines anyways. I just have a hard time imagining what was once Faron woods in SS became the Death Mountain area in OoT. Nor do I think that's how the maps are supposed to relate. Not that much thought is put in relating the maps but I just think it's supposed to be more straight forward. Eldin is Death Mountian of all the games. Faron is Lost Woods of OoT, Faron Woods of TP and possibly the Eastern Palace area of ALttP though it coud also be a retcon of ALttP's Lost Woods too (That way the Master Sword's pedestal never moves since the beginning). HH pretty much confirms that it's supposed to be straight forward like that. In the very least, it says SS Hyrule is supposed to be the same as it is in OoT. And besides, for the sake of avoiding confusion, I just prefer keeping more things the same than not, unless otherwise specified. Edited by SOAP, 20 March 2012 - 06:38 AM. Well, SS Faron Woods is still near the OoT forest area. I think it is an area that was once lush that just sort of died over the course of several hundred years (or even, 1000 or 2000 years). And I actually think it would be more confusing to say future games retconed old ideas, you have to figure out all these inconsistancies and try to justify them. I think with their confirmation that Master Sword stays put, they gave us a layout of the land. I know they won't match perfectly because there's so much time between SS and OoT, and several hundeds years between OoT and TP. That's because civilisations change drastically in that time. But I think Aonuma had a design to it all when he started developing games. I find things like Eldin Volcano =/= Death Mountain are easier to explain because its like saying Death Mountain was discovered hundreds of years later and Eldin Volcano likely became dormant and forgotten. Because a lot of things from the sky era were forgotten. And in the case of Master Sword being in the Lost Woods in ALttP, look at the area in which it sits. In SS, it was surrounded by a lush environment with a forest nearby. In OoT they'd built a civilisation there, and so it wouldn't seem like anything like a forest could grow there again. But I see two places in time in which a forest grows there. Because of the dark interloper incident, for some reason, the old capital was abandoned (possibly destroyed) and they all migrated north and forgot the old civilisation over time and legend. In another time line, you have the seal war totally destroying the old capital. So the capital moved, and the old one was forgotten over several hundred years and legend. And without the civilisation there, forest grows back again in that area. There, two similar backstories in the same exact area. It is naturally a lush forest area. Maybe the real reason they're called the 'Lost Woods' is because they keep moving and people lose track of them. That's what I've been going with. They've already demonstrated the ability to warp the hell out of physics in some games. Due to recent developments, I've updated my map after changing it some. I've also updated some locations, adding FSA and more ALttP locations. I think its looks a lot better now. Minish Cap is still a little hard to place anywhere on the map. It has to be the oddest Hyrule out of them all. 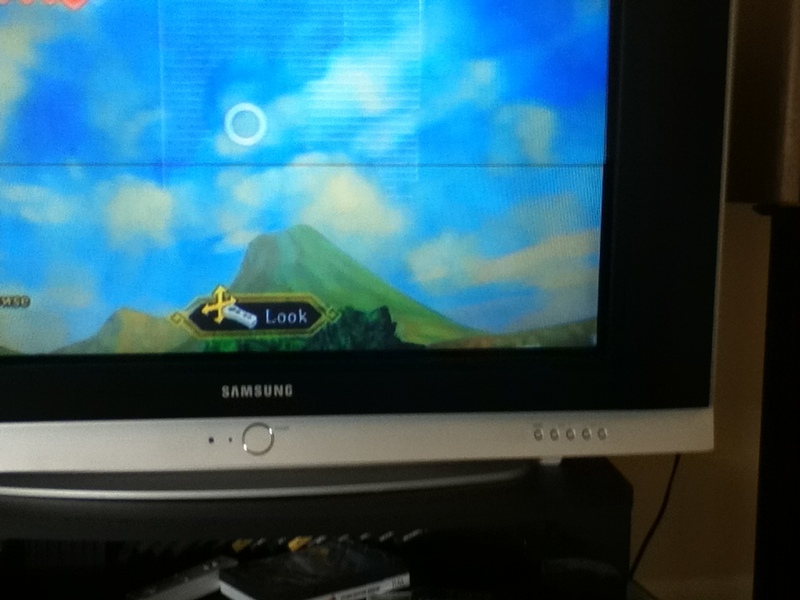 Apparently, yesterday somebody at Zelda Universe was playing Skyward Sword when they looked south-east while the area with the Skyview Temple and spotted another mountain that bears much resemblance to Death Mountain in OoT. This person said it resembles Death Mountain moreso than Eldin Volcano does. There's a whole thread about it there, right now. In any event, I suspect the mountain to be Death Mountain. I have looked at it a lot, and I've looked at Eldin Volcano. And I have to say, the mountain near SS Faron Woods looks a lot more like Death Mountain. So I made that a part of my map. Note that I also enlarged the NES Zelda land areas' sizes and more than doubled their size. Do you think it looks more up to scale? One oddity in this map is that FSA Death Mountain seems to be at a closer to the location of ALttP's Death Mountain rather than OoT / TP's. The same goes for FSA's Hyrule Castle, its almost exactly where ALttP's Hyrule Castle in correlation to Death Mountain and the Eastern Temple. And another rather curious detail is that the location of FSA's Kakariko Village is located near the Master Sword in correlation to Death Mountain. In fact, on the FSA overworld map, Kakariko looks almost exactly where the Lost Woods are in ALttP. Edited by Gannon_Band, 20 March 2012 - 11:02 PM. ^^^Actually, the green mountain can't be DM. It would be impossible. It's located somewhere down South of Faron Woods, and Southeast of the Master Sword. That's the exact opposite of where DM is. Eldin Volcano is more likely to be DM than that green mountain is. I think in this case, the simplest solution is best, and if we go by the HH, then nothing really has changed between the surface world of the SS era and OoT Hyrule. They look different only because of artistic license and gameplay and such but Eldin is still Death Mountain, Lanayru is Gerudo Valley. The Sand Sea is the Haunted Wastes. And Fraon Woods is Lost Woods. Hyrule Castle and Town possibly gets built where the Sealed Grounds are which is a little far south but it's not that big an issue. What I do like is the idea of associating Lake Floria with Zora's Domain. Personally I would have assumed it was Lake Hylia since, if you assume the Skyview Temple is the Eastern Palace, it does match up with the Lake Hylia of ALttP. But Lake Floria is ta primary water source whereas in most other variations of Lake Hylia, it's where all the water eventually ends up. A pretty big differenceIn either case, it's [img]http://forums.legendsalliance.com/public/ALOT.png[/img] easier to assume part of Lost Woods surround Zora's Domain than saying what was once Faron Woods became Death Mountian when Eldin is still a pretty good enough candidate. Also, the way Eldin is seen from the Sealed Grounds is far more reminiscent of OoT Death Mountian than that green mountian in Faron. When the Skyloftians return to the surface to settle down, the land contains three distinct regions, a desert, a volcanic mountain, and a large forest. Obviously the forest is where they did a majority of the settling. Hyrule Castle and Town were built around Sealed Grounds. As trees were being cut down for resources, LOn LOn Ranch was built eastward into Faron woods. Lake Floria was renamed Veiled Falls and was the source of water in Hyrule. Lanayru was being mined to the northwest for resources as well in an area that was named Mt Crenel. The Gorons, originally from Lanayru start dwindling in number and make a new home north of the Veil Falls, presumably Eldin. Eldin remained unexplored because it was still too active for human use. This is the Hyrule of TMC. FS Hyrule includes the Eldin Region, which is named Death Mountian for it's hellish landscape and it's several still active volcanoes. The Talus Caves could be underground parts of Lanayru. And Sea of Trees are a deeper p[art of Faron Woods. civilzation is probably further south. Skyloft, now vacnt, is probably taken over by Vaati some time between TMC and FS. This is the Hyrule of FS. Some time later, new races start appearing. The Zoras take over Lake Floria/Veiled Falls and rename it Zora's Domain. The Gerudo take over the deserts to the east and rename them Gerudo Valley and Haunted Wastes. Also, the Goron race has recovered and taken over much of Eldin. The humans, now referring to themselves as Hyluans, expand their territory into the feilds into the south, naming it Hyrule Feild. A new Lon LOn Ranch is established here as well, as well a Lake Hyia different from the one immediately south of Veiled Falls in TMC. This is OoT Hyrule. ALttP and TP Hyrules are a little harder to explain. LoZ Hyrule, since it's such a simple map, is much more straightforward. Death Mountian is still the same area in the North. Lost Woods are the foresty area to the East. The deserts probably became the large graveyard to the west or could possibly still even further west unseen on the LoZ map. lake Hylia could possibly be one of the twin lakes in the LoZ map wheras the other Lake could where Hyrule Castle once stood in games like ALttP or TP. The AoL map contains completely new areas to the north and east, beyond Death Mountian the eastern sea. Edited by SOAP, 29 March 2012 - 05:19 PM. Well, I've been looking into it this passed week or so; and it would appear that Eldin Volcano is in the other direction--being closer to the location of Snowpeak than it would be to Death Mountain. I say this because its northwest of that particular area, even if the green mountain isn't Death Mountain. I don't necessarily accept the idea that the provinces stay the same for thousands of years. If that were always the case then the Roman Empire would still stretch fro west to east in southern Europe. I think that the provinces' borders change between SS and TP. And that's why the desert isn't a part of Lanayru in TP. And Fraon Woods is Lost Woods. Actually, speaking about TP's Lost Woods, they are near the Master Sword; it would appear that the Lost Woods would be around the Sealed Grounds area only thousands of years later. Hyrule Castle and Town possibly gets built where the Sealed Grounds are which is a little far south but it's not that big an issue. So, taking from HH that the Sealed Grounds is the OoT Castle Town area; it would appear that--along with the rest of the kingdom--Castle Town moved north and left behind the former capital of Hyrule. Actually, I agree with the other theory being that in OoT the Temple of Time faced a different direction than the original temple did. PS: I just now noticed that, in my map, it says "Temple of Time TP" all the way out there in the desert. Please disregard that, as we all know that the Temple of Time out there is the only Temple of Time in Skyward Sword. I'm waiting until after I'm finished updating my map to upload the corrections. Edited by Gannon_Band, 31 March 2012 - 07:06 PM. I just checked Glitterberri's translantions of Hyrule Historia and apparently it clears up a few major mysteries, mainly what the hell is up with the Temple of Time and it's realtion to Hyrule Castle. Going by clues in HH, chronologically there was a Temple of Time in the desert but that became defunct after the Gate of Time was destroyed, leaving the temple itself to be eroded and forgotten by time. The Sealed Temple is refurbished into the new Temple of Time by Rauru, in order to protect it's ties to the Sacred Realm. This is the same Temple of Time as the one we see in OoT. It's implied that when the Skyloftians began to settle on the surface, they initially settled around this very same Temple as well. It would make sense then that the very nascent point of their civilization later becomes Hyrule Castle Town. That then leaves TP's Temple of Time, which is in a forest far from Hyrule Castle Town. But if you believe that the ruins surrounding the Temple of Time are of an older Hyrule Castle Town and a new castle and town was built further north, then it all fits. Everything else then falls into place. So to sum up, a new Temple of Time was built first at the site of the Sealed Temple and the resting place of the Master Sword. Then the Skyloftians settled around the Temple and built a castle nearby. The settlement became a town in time and became Hyrule Castle Town. The Castle and town were lost, possibly due to invaders or natural disaster, and the people moved further north, leaving the Temple of Time to fall into ruin. Anywhoo, its been a long time since I've worked on that map.... I remember starting to draw FSA Hyrule into the eastern part of the map. And that's where I left off. Ehh it was really hard to figure the maps together anyways. I can see it all in my head how they fit together but its hard to illustrate it.